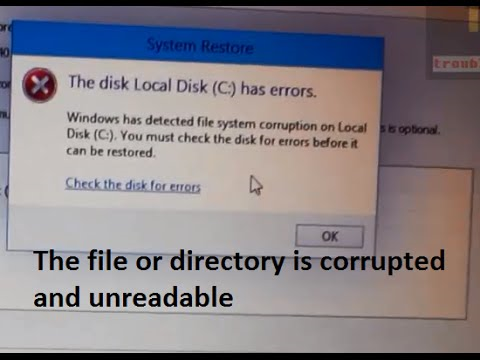 Recently, many computer users say that they have encountered a system restore error “Windows has detected file system corruption on OS (C:). In this case, you must check the disk for errors before it can be restored”. It’s a Windows 10/8/7 System Restore error that suggests either a file system corruption on the selected hard disk or corruption of Windows system files. By facing this error, you cannot perform any system restore point until the exact error was thoroughly resolved. Whenever you’re faced with the above error messages, you can’t run the System Restore to the end. Check this post’s solutions because you need the help. Type “sfc /scannow” into the Command Prompt window and press Enter to run a full system scan. 1: Type Command Prompt in the search box of Windows 10 and choose it in the list. Then right-click it and choose Run as administrator. 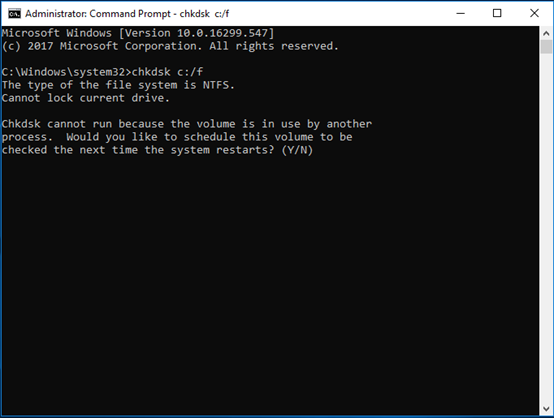 2: Type chkdsk c: /f command and hit Enter to continue. 3: You need to type Y to schedule this volume to be checked when you next restart your operating system because the volume is in use by another process. This is an important step to check if the hard drive errors were solved and optimize your hard drive as well. You can run a third-party free partition manager. 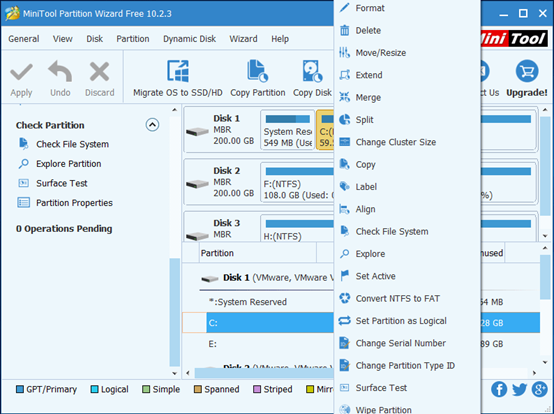 There is a professional disk manager tool with MiniTool partition wizard. Launch it and to enter its main interface. Selected the C partition and choose Check File System from the left panel or the context menu. You can choose either based on your own needs. Then click Start to continue. Check only helps check the errors of the file system. Check & fix detected errors helps to check as well as repair errors of the file system. 4: Then you will see a warning message and click Yes to continue. Next, click Cancel to return to the main interface. After you have solved the issue “Windows has detected the file system corruption,” it is recommended to create a system image to avoid some accidents since you can take advantage of this system image to restore to the previous state. Therefore, we will introduce how to create a system image by using a piece of professional backup software. 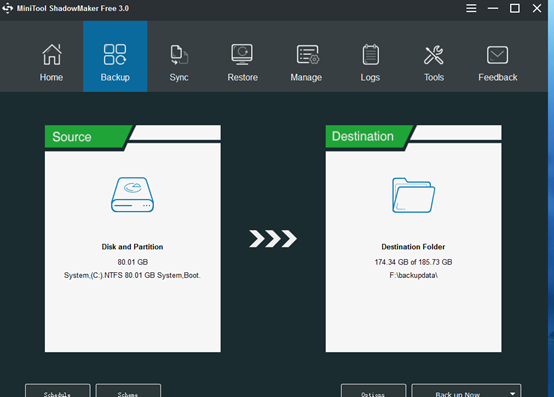 We present you with such a piece of free backup software that is MiniTool ShadowMaker. 1: Install this software and launch it. Then click Connect in the Local tab to enter its main interface. 2: After entering its main interface, if you haven’t used MiniTool ShadowMaker to perform any backup action, MiniTool ShadowMaker will remind you to backup immediately. After choosing the source and destination, you can click Back up Now button to perform the task immediately. Or you can click Back up Later to delay the process. You can manage your backup matters on the Manage page. This article has shown you how to fix the issue “how to fix the issue “Windows has detected the file system corruption” and how to create a system image. You can try to use it to solve the file system corruption on local disk C problem.